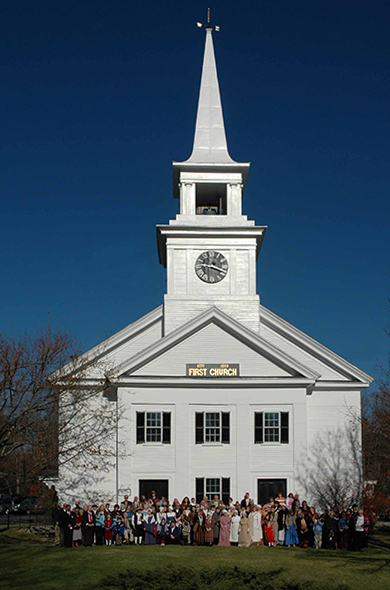 After a period of discussion and discernment in early 2012, First Church adopted the following Motto and Mission Statement at its Annual Congregational Meeting on June 3, 2012. We use these statements to help us clarify our sense of purpose in this particular place and time. To be a joyful and vibrant church that celebrates the gift of life together as we give thanks for our heritage, rejoice in our present ministry, and look to the future with a hopeful and positive faith.